New York City has always been at the forefront of efficient and sustainable building and development. From regular revisions to our Building Code that require improved techniques and technologies to local laws that provide builders with goals and guidelines, NYC is constantly pushing and rewarding developers and builders for green design. From a test-site microgrid in Brooklyn to a net-zero energy school in Staten Island, here’s how Green Building is growing in NYC. One of the contributing factors to the increase in green building in NYC stems from the passage of Local Law 86 of 2005 (LL86-2015). LL86-2015 requires new buildings, additions in capital projects that receive City funds to meet or exceed the U.S. Green Building Council’s LEED green building standards. LL86-2015 was one of the first green building laws in the country and provides guidance and incentive for developers to pursue new and energy efficient ways to complete large public works projects. One of the more recent successes of the City’s legislation is the completion of P.S. 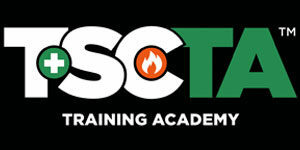 62 in Staten Island, a net-zero energy consumption school. The school was officially dedicated nearly two years ago and features 444 seats over 68,000 square feet. The school was designed to comply with the New York City School Construction Authority’s (SCA) Green Schools guide – a standard similar to LEED’s requirements for sustainability. The SCA’s push for higher environmental performance has made the City a worldwide leader in net-zero building. Net-Zero building is defined by the Net-Zero Energy Coalition (NZEC) as a building or structure that is designed to emit zero greenhouse gases with the aim of contributing a positive effect to global sustainability. Net-zero building requires offsetting the total energy used by the construction of the building by the amount of renewable energy created on site. Net-zero buildings often get half of their energy from the grid and return an equal amount during off-peak hours. Net-Zero Building isn’t just another buzzword for the industry. According to an updated study by the NZEC, net-zero building projects have increased by 33% in 2016 from their first study conducted in 2015. Where the initial study aimed to create a baseline of who and what were developers building, the 2016 study confirmed strong performance in multifamily residential units – currently at 8,203 units vs. 6,1077 units in 2015. Interesting still, is that demand is being created by industry leaders looking to stand out from competitors and taking advantage of various tax incentives that traditional projects simply cannot afford them. Although, a majority of net-zero projects are coming out California, locally we’re seeing the trend pick up including a new Microgrid project in North Brooklyn. Brooklyn startup, LO3 Energy, has made quite a name for itself with its ambitious microgrid project. LO3’s project will allow participants to produce and sell electricity from one building to another as well as back to the electric utility. Best of all, LO3’s microgrid employs currently existing and proven solar technologies paired with Blockchain ledger software to create a feasible system that can be easily managed by homeowners and utility companies alike. 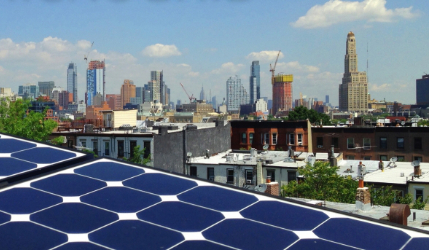 Unlike other solar projects, the Brooklyn microgrid isn’t built solely with new construction in mind. LO3’s microgrid has been deployed in existing brownstones, new developments, and there’s even a plan to incorporate the microgrid in existing public housing developments. The flexibility of LO3’s microgrid will allow new solar energy providers to sell or share their excess energy – ensuring that green energy can be provided despite socio-economic status. LO3’s technology can provide a model for future public-benefit works that can make it viable for companies to profit from green energy without leaving anyone behind. In recent years, the City has aggressively championed sustainable building and design; thanks to forward-thinking legislation, financial incentives, and innovative partnerships green building will continue to see a bright future for all.